Ethan Gallagher is a firefighter in Darling, Vermont, who followed tradition and pledged his love on the Kissing Bridge to ensure lifelong happiness. A few years later, he’s a widower with two rambunctious boys who no longer believes in magic. But even he has to admit that free-spirited Willow Dunaway fills him with wonder…and an attraction he cannot deny. Willow’s come back to Darling a different girl than the one who left after high school. Overcoming her past and owning her own business has made her into a strong, independent woman. Single dad Ethan appeals to her in a way she didn’t expect, even though settling down is the last thing on her mind. But after fire destroys the local food bank, the town rallies, and a fling between Ethan and Willow leads to unintended consequences. Can they find a way out of their heartbreak to make a home in each other’s hearts? I loved this one!! It has everything I love in a romance. 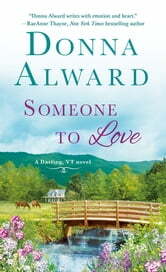 Small town, close friends and family, lots of emotion, interesting H/h with a slow build romance between the two. Ethan and Willow seem to be the most unlikely people to find love in each other but they turn out to be just what the other needs. Ethan is grumpy and gruff, dealing with the loss of his wife and struggling with raising his two young sons he feels he has little to be happy about. Willow has dealt with her own sorrows in life but has chosen to find a way to bring peace, serenity and happiness to her life. Their story is full of bumps and twists and turns but in the end the road to their HEA seems clear. Definitely a recommended read. Loved, loved this book of small town romance with plenty of emotions. An unlikely match between Ethan, a widower with two small boys and Willow, a free spirited person, who has her own secrets. Willow has returned home to open up her own little cafe, she is now very independent. Soon Willow and Ethan have a mutual attraction but want to take it slow, but can it be slow without broken hearts. 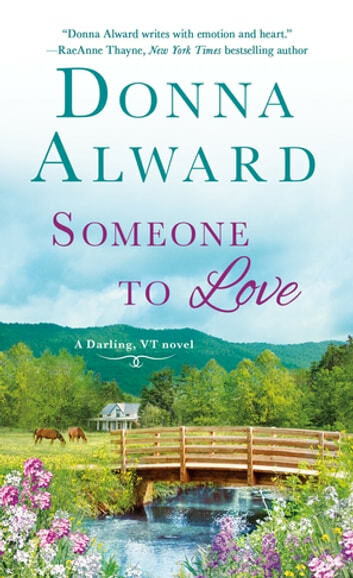 This is the second book in the the Darling VT series but can be read as a stand alone. Love the family of the Gallaghers, very close knit. Willow brings out so much in Ethan and the boys, I just fell in love with. This story is packed full of emotions that will keep you turning the pages.